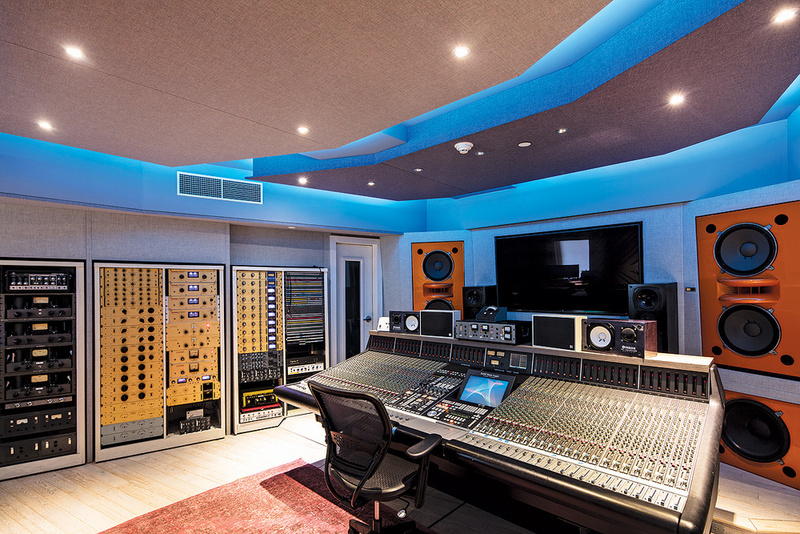 The spacious control room is now based around an SSL K-series console. Building and running a top-class recording venue is a costly endeavour, and factors such as high real-estate prices and a tendency for musicians to build their own facilities have placed pressure on many high-end studios. BangyBang Records, however, is pushing against this trend. 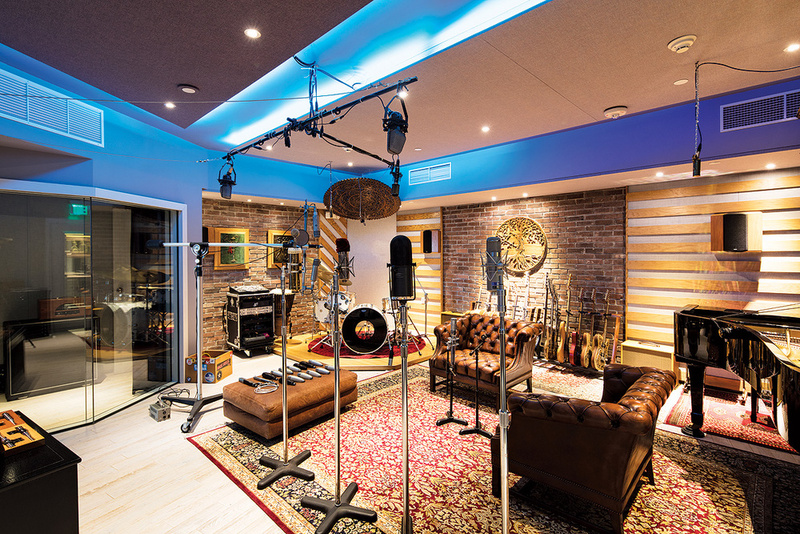 Originally conceived as a private studio, it is now opening up its doors to the outside world as a music-production environment so unique and special that it simply deserves to be appreciated by a wider audience. Owner and founder Alex Pizzorni grew up in Caracas, Venezuela, and moved to Los Angeles in 2004 to pursue the Merlin Moon project that is still his core activity. 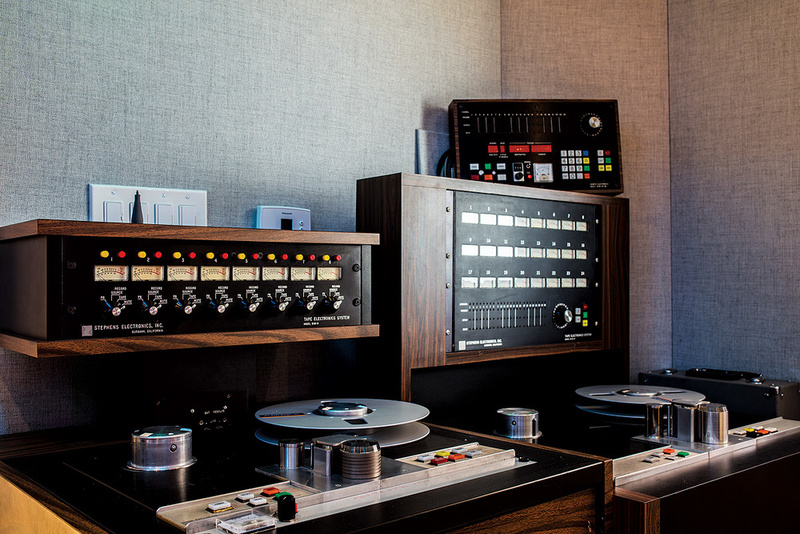 Reasoning that one studio day in a commercial facility was the equivalent to one month’s rent for his house, Pizzorni built a studio in his home in Hollywood. Being heavily influenced by Pink Floyd and the likes, he also started to build his collection of vintage recording equipment at the same time. Following collaborations with Alan Parsons, producer/engineer Rafa Sardina, PJ Olsson, Mark Needham and Phil Tan, Pizzorni moved to Miami in 2014. Here BangyBang Records, named after his own record label, found a new home in a former dentist’s surgery in the Bal Harbour area in the north of Miami Beach. A few of BangyBang Records’ choice mics in the live room. 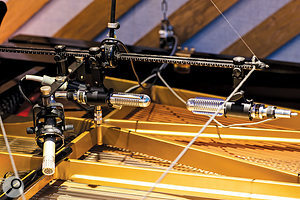 The Decca tree can be populated either with RCA KU3A ribbons (as shown) or Neumann M50s. There is a deliberately restricted choice of outboard, but plenty of it. 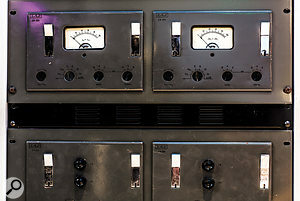 Most units have been specially modified and fitted with custom gold-plated faceplates.The studio occupies 170 square metres in total, with a 45-square-metre control room at its heart; the live area has slightly larger proportions, and there also is a booth, a machine room and a marbled lounge, which doubles as a repair shop and as an echo chamber if need be. 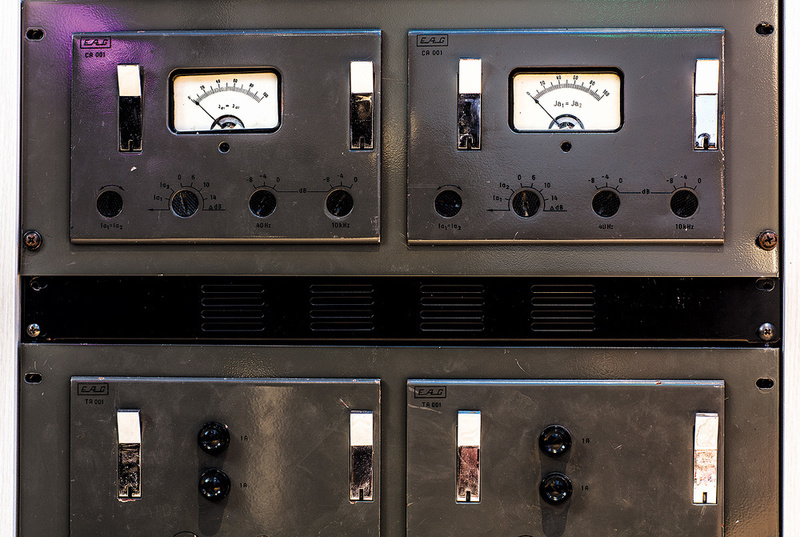 One of the most remarkable aspects of BangyBang is its collection of outboard gear, which comprises surprisingly few different processors, but in large numbers! Pizzorni: “I have learned a lot from Alan Parsons, and his work is always about simplification to the utmost. After working with him I looked at my room and sold most of it.“ There are six UREI 1176 compressors: two pairs of Rev B and D units and four Fs. 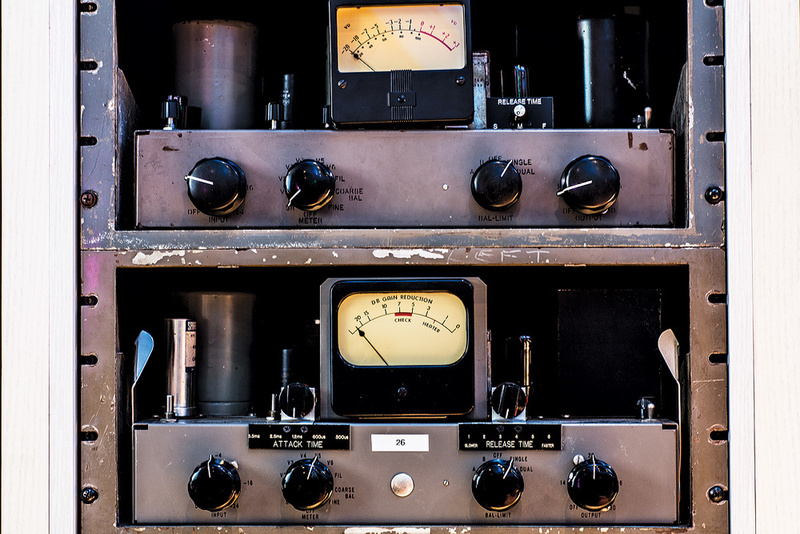 There also are a few different Teletronix units, including pairs of the incredibly rare LA-1 and LA-2 specimen. “If you put an LA-2A together with an 1176 it’s like a ballet, they start dancing!“ explains Pizzorni. 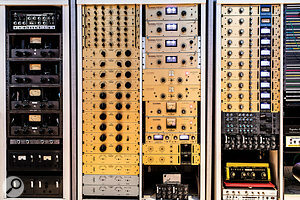 The racks also hold no fewer than four RCA BA-6As, as well as a plethora of Langevin and Lang filters and EQs. 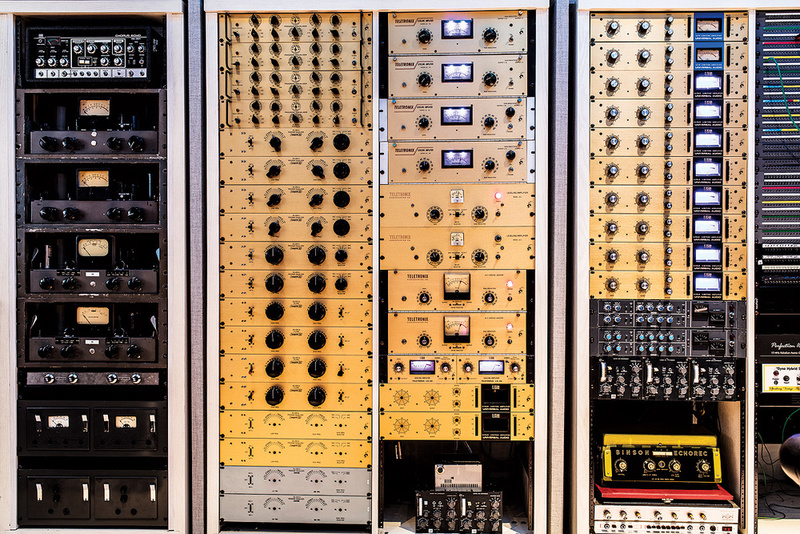 While many collectors strive to keep their gear in original condition, the team at BangyBang, which also includes technical and mastering engineers Juan Carlos Nieto and Richard de Avila, have modified many units. All have received striking golden face plates with finer metrics for improved recall, and the electronics too have also been meticulously serviced and partially modified according to the engineers’ needs. However, all original parts have been kept in storage, so all work can be reverted if need be. 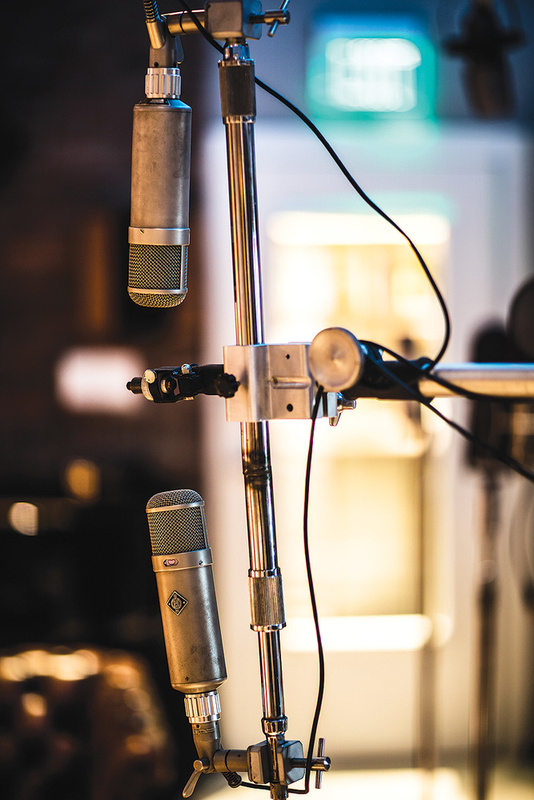 BangyBang also offers a microphone collection on par with the outboard kit. The Decca tree can either be equipped with Neumann M50s or RCA KU3As, and there are several Neumann U47, U48, M49, U67 and M269 mics as well as more rare and unusual pieces like the Bang & Olufsen BM4 ribbons, a Telefunken ELA M251, an RCA KU2 ‘skunk’ and an RCA PB31. The backline includes instruments like a Yamaha CS Grand Piano and synthesizers such as a CS80 from the same manufacturer, an ARP 2600, and a Roland TB-303 with the Devilfish modification. 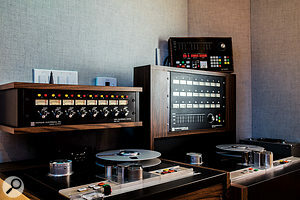 Until recently, the studio was operated as a mostly private production facility, with the lion’s share of the creative work revolving around Pizzorni’s own Merlin Moon project. Pizzorni has acquired an inventory of over 5 million NOS tubes which will be made available soon through a shop system, underlining his expertise with all things vintage. Other artists to have used BangyBang include Diego Torres, Christian Castro, PJ Olsson and TLC TV channel, and Sony Music Latin America send singers and writers for demo recording on a regular basis. But this may well be just the calm before the storm: now that it’s open for hire, this unique and high-end studio is sure to attract artists from far and wide.